국내의 미세먼지 문제가 심각해짐에 따라 개인이 활동하는 주변공간의 미세먼지 농도를 알고자 하는 욕구 또한 증가하여 직접 미세먼지의 실시간 농도를 측정할 수 있는 휴대용 미세먼지측정센서에 대한 수요가 증가하고 있다. 그러나 시중에 판매되는 미세먼지 간이측정기는 정해진 인증기준 없이 제작·판매되고 있다. 본 연구에서는 최근 판매가 급증하고 있는 휴대용 미세먼지 측정센서의 농도값을 어느 정도 신뢰할 수 있는지와 이러한 센서들이 어떠한 경우에 활용될 수 있는 지에 대해 일반적인 시민의 입장에서 고찰할 필요가 있다고 판단하였다. 이를 위해, 1) 기기 간 상호비교 및 보다 정확한 장비와의 비교를 수행하고, 2) 휴대용 기기를 활용하여 미세먼지의 영향을 저감할 수 있는 방안들에 대한 검증실험을 수행해 보았다. 그 결과 휴대용센서들의 농도 절대값을 그대로 신뢰하기엔 문제가 있었지만, 그 재현성과 선형성은 실생활에서 활용되기에 유용하다고 판단되었다. 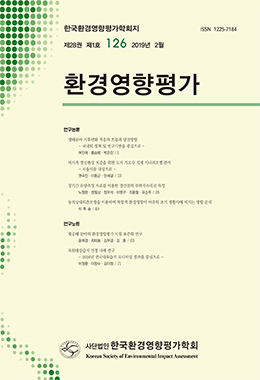 또한 휴대용 미세먼지 측정센서를 사용함으로써 사용자들은 자기 주변의 변화하는 미세먼지 농도에 대해 빠르게 인지하고 대처 할 수 있을 것으로 판단되어, 미세 먼지 오염의 피해를 줄이는 데 활용할 수 있을 것이라 기대된다. As atmospheric fine dust problems in Korea become more serious, there are growing needs to find the concentration of fine particles in indoor and outdoor areas and there are increasing demands for sensor-based portable monitoring devices capable of measuring fine dust concentrations instantly. The low-cost portable monitoring devices have been widely manufactured and used without the prescribed certification standards which would cause unnecessary confusion to the concerned public. To evaluate the reliability those devices and to improve their usability, following studies were conducted in this work; 1) The comparisons between sensor-based devices and comparison with more accurate devices were performed. 2) Several experiments were conducted to understand usefulness of the portable monitoring devices. As results, the absolute concentration levels need to be adjusted due to insensitivity of the tiny light scattering sensors in the portable devices, but their linearity and reproducibility seem to be acceptable. By using those monitoring devices, users are expected to have benefits of recognizing the changes of concentration more quickly and could help preventing themselves from the adverse health impacts.